Our homes are where we unwind and relax, where we nurture relationships, where we raise our children, and where we create our most treasured memories. At Farmer's Daughter Interiors, we're big on Home. We believe our homes are worth investing in - not to be 'on trend' or keep up with the neighbors - they are worth investing in because of the people that spend their lives there. Through our custom Six-Step Design Process, we help our clients navigate through larger projects from start to finish and ensure top-notch design, right down to the last finished detail. By also offering singular In-Home Consultations, we make design services accessible to everyone, regardless of budget or project size. We care about our clients and want you to love not only your finished space, but the design process as well. It is possible! Clients use words like 'professional', 'talented', and 'efficient' to describe the level of service we offer. Want to hear what they have to say? Click here. While we work within a variety of aesthetics determined by our client on each unique project, we specialize in a 'modern farmhouse' style that combines bright, fresh spaces with warm textures and natural color palettes. As a stand-alone service or the first step in a lengthier project, an In-home Design Consultation is the place to start if you're considering new construction, renovating your home, purchasing new furniture, or simply updating your wall color. We'll walk through your space with you and help solve any burning design dilemmas you're facing while taking your individual needs and personal style into account. During our time together, you’ll receive insider tips, tricks, and ideas for any part of your home or office. If you decide to pursue any of our other services, we'll likely use this time to take measurements and photos of your space to help kick-start your project! One of our specialties! While an often overlooked but completely integral part of the design process, we love this particular aspect of design because it affects how a space lives and functions on an everyday basis. Whether we're working from a house plan or we're able to stand in your room, it's all about utilizing the space you have to its highest degree of functionality and creating homes + rooms that suit the way we live. To take it a step further, see the Furniture Sourcing section. Designing a kitchen or bathroom involves determining a layout, choosing materials and finishes, specifying plumbing and electrical needs, and much, much more. Invite us on-board and we'll bring tons of ideas to the table and explore all the options with you! We work with your preferred cabinet vendor or one of our favorite shops to create the perfect blend of door profiles, custom stains, colors, + hardware considerations to bring your cabinetry needs to life and provide long-lasting value to your home or revenue property. Another one of our specialties! 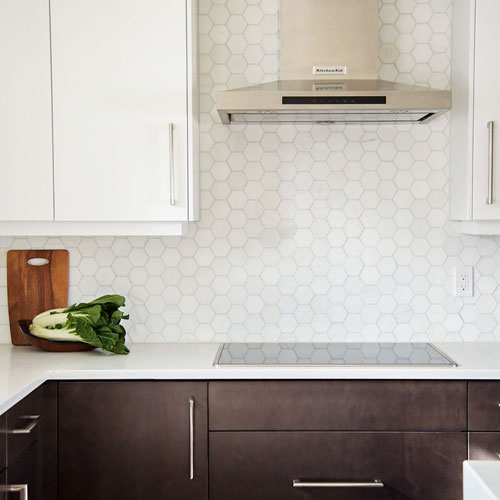 There are many details to consider in choosing the best materials for your home and we can help you by sourcing finishes such as flooring, countertops, backsplash tile, lighting, and more. After meeting with you to get the scoop on your project, we take to the streets and bring you back specific options + recommendations tailored to your needs. This process is often overwhelming for clients but trust us, we’ve done this a time or two and by knowing where and how to look for specific materials, we save you time, stress, and money. We've partnered with preferred manufacturers whom we trust to create furniture, fabric, lighting, and rugs that are quality-made and beyond beautiful. Whether you need help creating a design concept for your room or just can't find what you're looking for, we can help navigate the often confusing and time-consuming world of furniture buying. We source and hand-select products specifically tailored to the needs of you + your family ensuring a perfect fit, every time. Along with your project’s concept and your personal preferences, we take into account practical considerations like furniture function, scale, and budget. We're big believers in the finishing touches! At the end of a project, we have your style down to a tee and there's little more rewarding than presenting a perfectly styled room to our clients who by now have likely become great friends! Even if you haven't been working with us through an entire project, but just need some pieces to give your space that 'finished' feel, we can help! Whether lamps, throw pillows, or decorative accents, it's amazing what a few carefully placed details can do to warm up a room and create that cozy, homey feeling we all love.